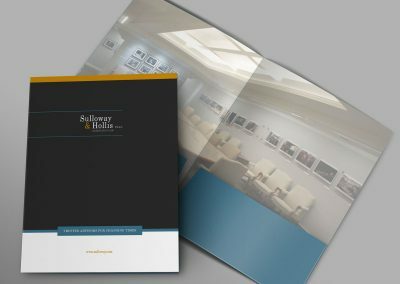 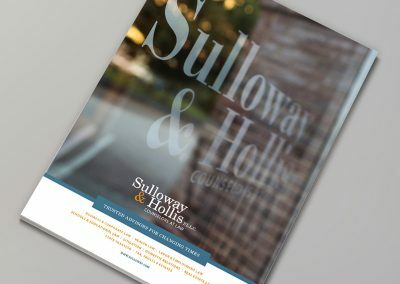 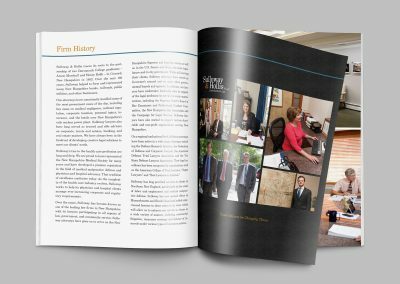 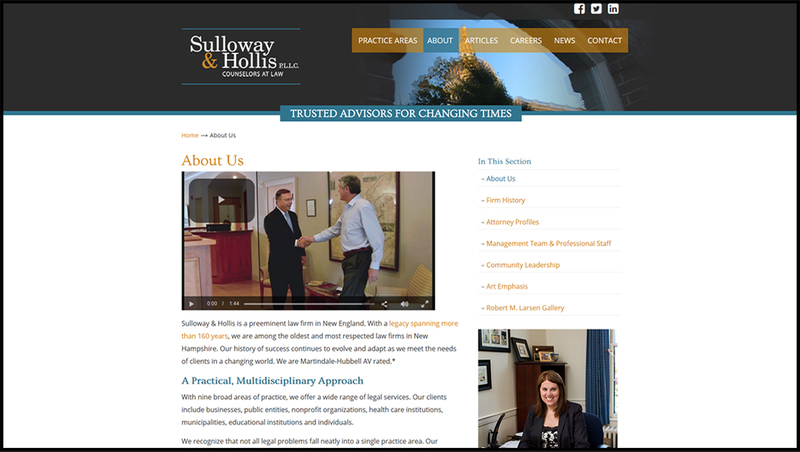 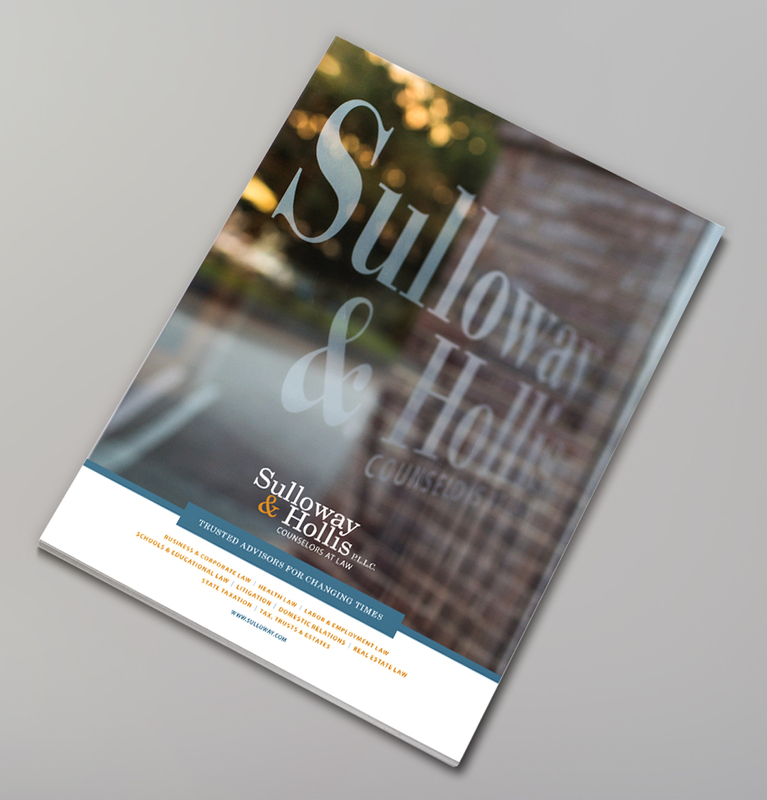 Sulloway & Hollis, a 160-year-old Concord, New Hampshire, law firm, needed fresh marketing materials to promote their capabilities and their new offices throughout New England. We created a high-quality, consistently branded package reflecting the firm’s heritage and expertise. 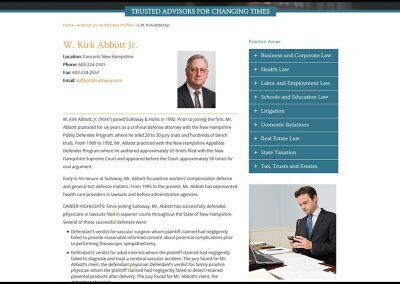 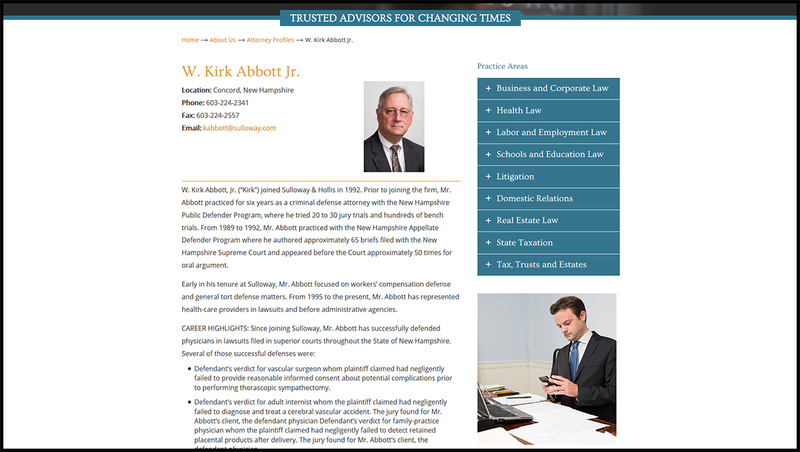 We also converted this Concord, New Hampshire, law firm’s existing website to a more user-friendly, cost-effective solution. 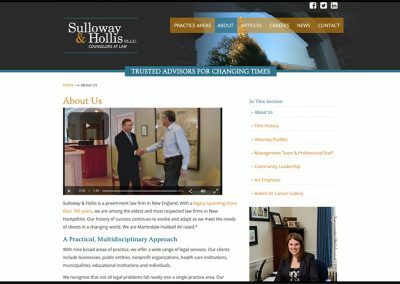 Using WordPress, the design is consistent with their site’s existing format; minor improvements include content organization and indexing written articles. 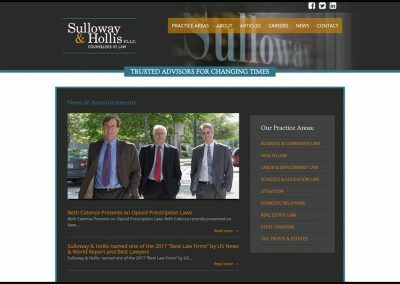 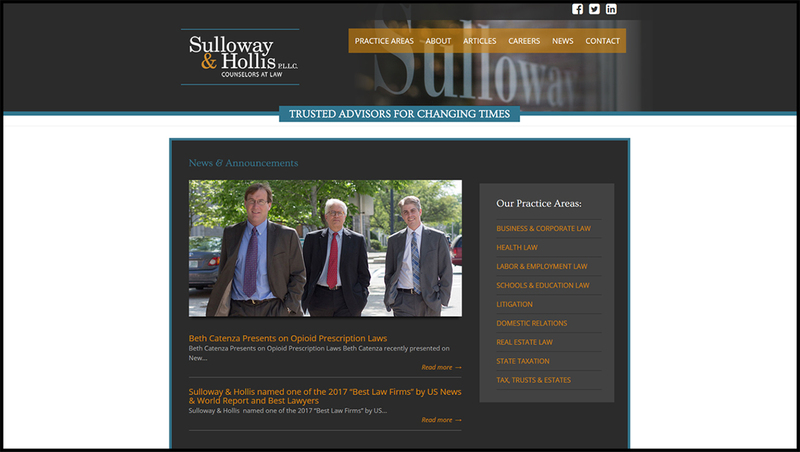 Sulloway & Hollis’s previous website was expensive and not user-friendly, with limited accessibility for basic updates. 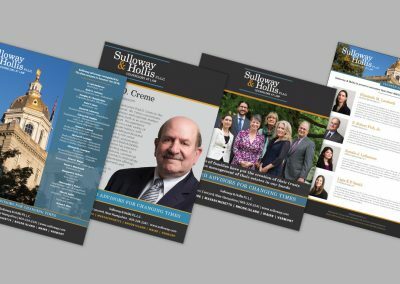 I want to thank and congratulate Alicen Brown from Tangram 3DS for all of her hard work and expertise, including pulling this project together. 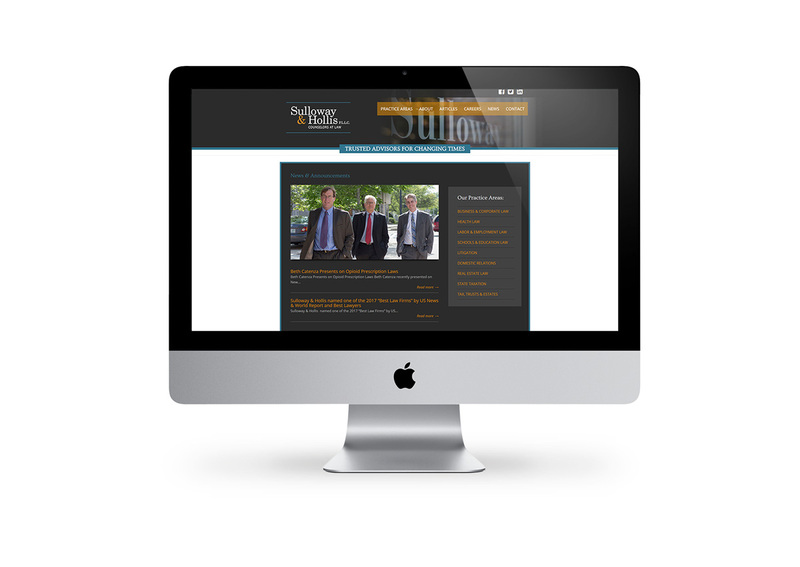 Alicen is a creative genius and our website reflects that reality! 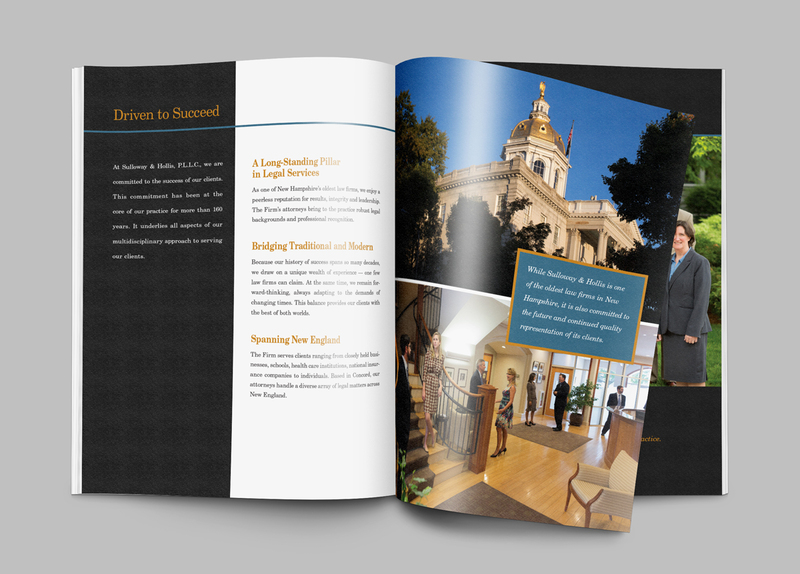 The new package includes a pocket folder, 12-page booklet, four-panel brochure and letterhead. 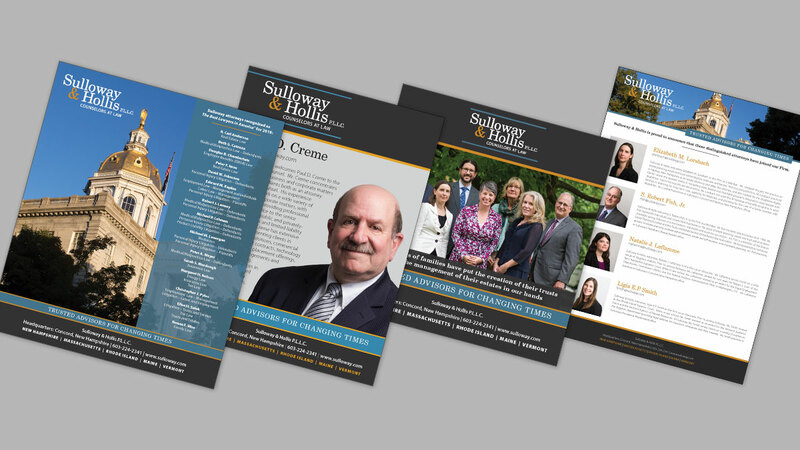 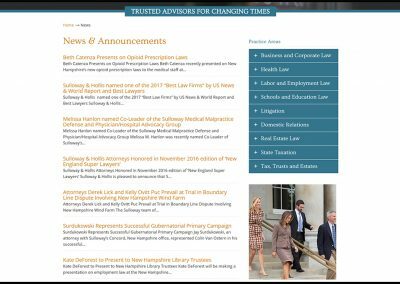 We have also been responsible for Sulloway’s print marketing for various law journals and publications for the past couple years.